An action-packed day of eventing has been completed with Emily Cammock emerging the victor in the main class for Eventing Canterbury’s March event. The horse trials, originally set to be run last weekend, were postponed until today, and condensed into a true one-day-event. It meant a busy day for organisers, volunteers and competitors, but there were few busier than Emily Cammock who had five horses to compete on. It was her top horse, Shaw Lee who took out the main prize, the Dunstan CCN4* class. “He was awesome, and went super,” said Emily afterwards. “He needed a good run in preparation for Kihikihi Horse Trials which are on in two weeks.” Emily plans on taking some of her team up to the North Island for Kihikihi then returning home for the South Island One Day championships in April and then heading back up north to compete in the Taupo Three Day Event in mid-May. “I don’t usually run Shaw Lee this much, but he’s going well and he thrives on the competitions,” she said. The Dunavyte CCN3* class was won by Amberley’s Giles Gormack with Lucero. It was a challenging track on the cross country, and the experienced Lucero looked good going around, albeit having a bit of a life in the water. In the Canterbury Equestrian Construction’s CCN2* class, Brent Jury, from Cust, was a clear winner on his very promising young horse, SE Gorky Park. There was also a raffle organised which raised over $600 for Khaled Mustafa’s family. Khaled was a well-respected local farrier and therefore very much part of the equestrian community. He had shod horses competing today, just days before he died, along with his son Hamza, in the Christchurch terrorist attacks. 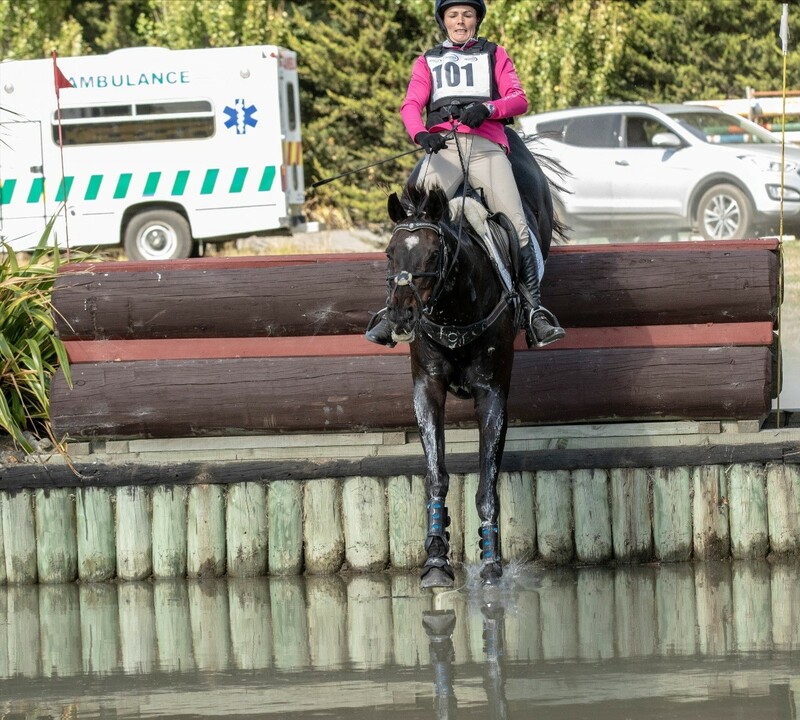 The next horse trials for Eventing Canterbury will be the South Island One Day Event Championships, which also includes the Young Event Horse competition, on 19-21 April at the National Equestrian Centre, McLeans Island, Christchurch.